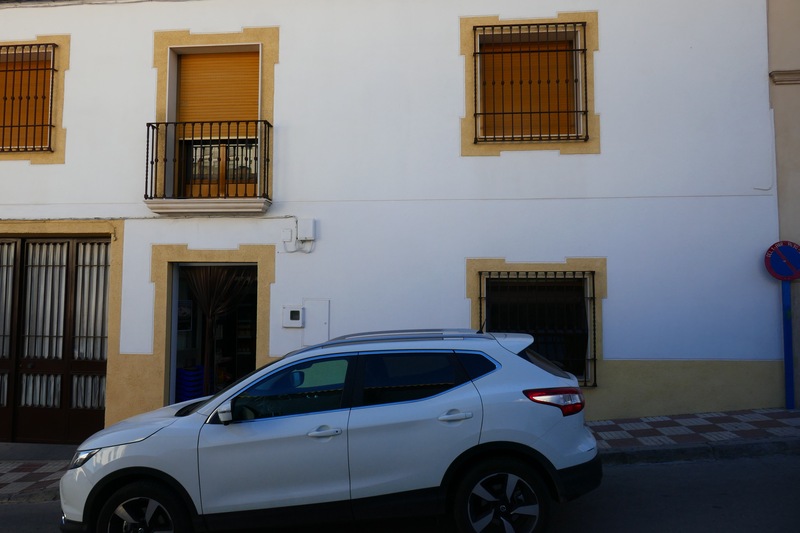 If you ever end up in Castro Del Río and need accommodation, go to Pension Antonio, Calle Olivo 7. The boss’s name is Antonia and she is lovely. She could not have been more welcoming. Even took us upstairs to show us the very warm roof area for drying clothes. And, it had a cold tap, basins, detergent, a clothesline and pegs. Everything for sweaty pilgrims. Our room cost €34, €6 cheaper for peregrinos (pilgrims) than if I’d booked through booking.com. We had a window above our heads enabling a breeze overnight as it was a hot evening. Very comfortable for me but Benedo said he sweated a lot overnight. We’d had a nice lunch nearby, both choosing salad and liver. Oh, and coffees, of course. 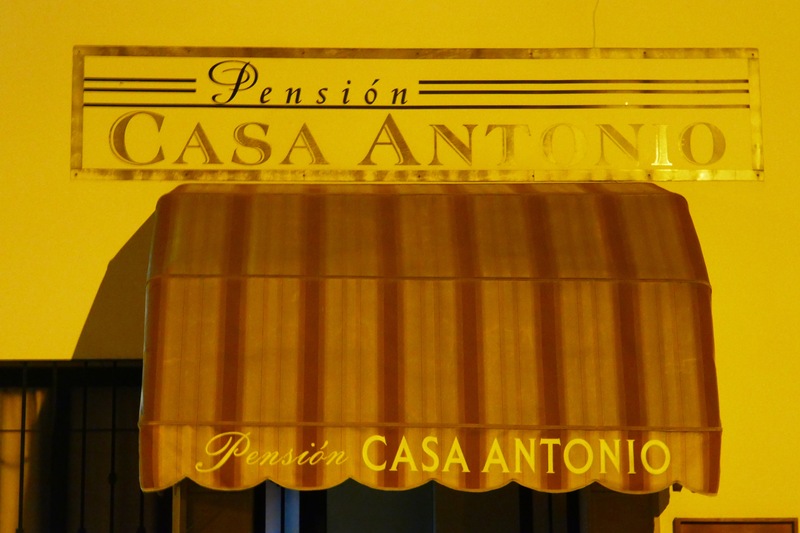 A very welcome part of the story of Pension Antonio is that we could breakfast in the adjacent Cafe Antonio anytime from about 06:00 on. The perfect symmetry in most olive groves is evident when they are young. Tractor width and easy to set up the drip irrigation used in many areas. This is a small, old, town with a castle overseeing everything. I loved seeing the castle getting closer and closer as we walked up and down the small hills before it. We could have largely avoided the town but, it would have a bar for beer, coke and a coffee. You’d think so anyhow. So, up we climbed. Lovely narrow streets and mostly white houses. And no bar that was open. It was only 09:45. The exception? A shop (find it!). As we were high on the hill, just below the castle, and leaving town we finally found a bar. And yes, Benedo had earlier asked a few locals and they were helpful, but wrong. Many seem not to know much beyond their own streets and habits. Anyhow, eventual success. 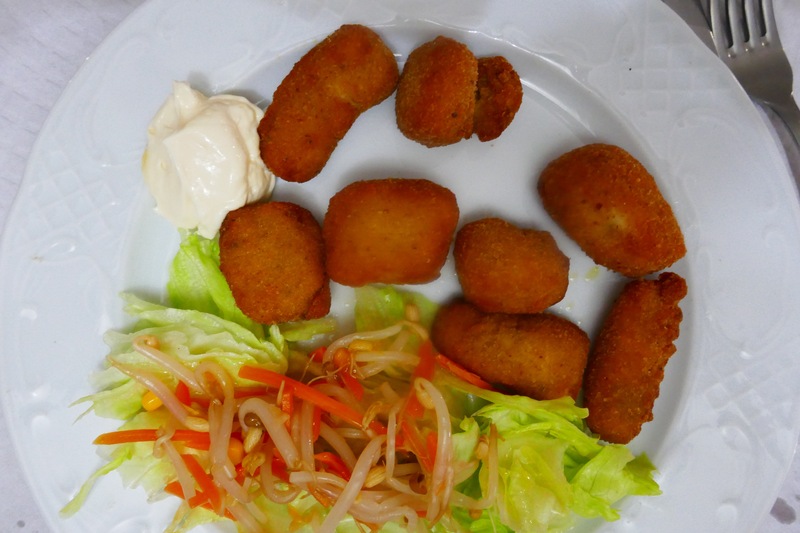 Beside his beers Benedo had a bocadillo, a roll with jamón and tomato. Why? Well, the silly bugger was carrying a lot of extra weight. 2.55kg to be precise. He’d bought a melon yesterday and for reasons I still don’t really understand decided to carry it today for a break. Yes, we had a great break about 5km after Espejo but he could have brought a much lighter snack. 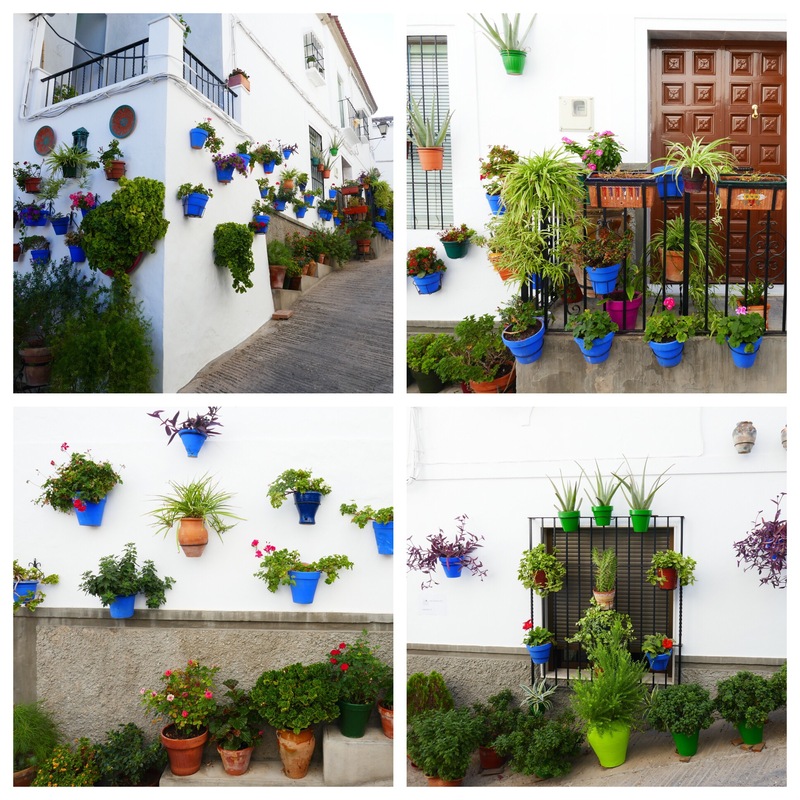 One of the best ever outdoor street garden displays is on the Camino Mozárabe on a street coming down from the castle. Even better, as we were admiring it the gardener was way above us on her roof so we could tell her how beautiful it is. She seemed delighted. A few metres after we met a really lovely old lady. Unbelievably, if you’d seen her trotting down the hill, she is 85. Very impressive and we chatted with her for a while. Finally, out of Espejó, past lots of olives and the residual stubble from whatever cereals are grown locally. And finally, the melon: I said we needed shade and a river for a stop to open it. Shade was good and there never was going to be a river on this last section. The melon was a little warm but very nice. Green, firm flesh. Not honeydews, these are shaped more like an American or Australian Rules football, darker green externally and with pale green flesh. The funniest sight for the whole day was the man on a quad bike with two dogs. Only as he came close could you confirm he had two greyhounds, one tied on each side, by a pole connected to the front of the vehicle. The setup did look unusual. 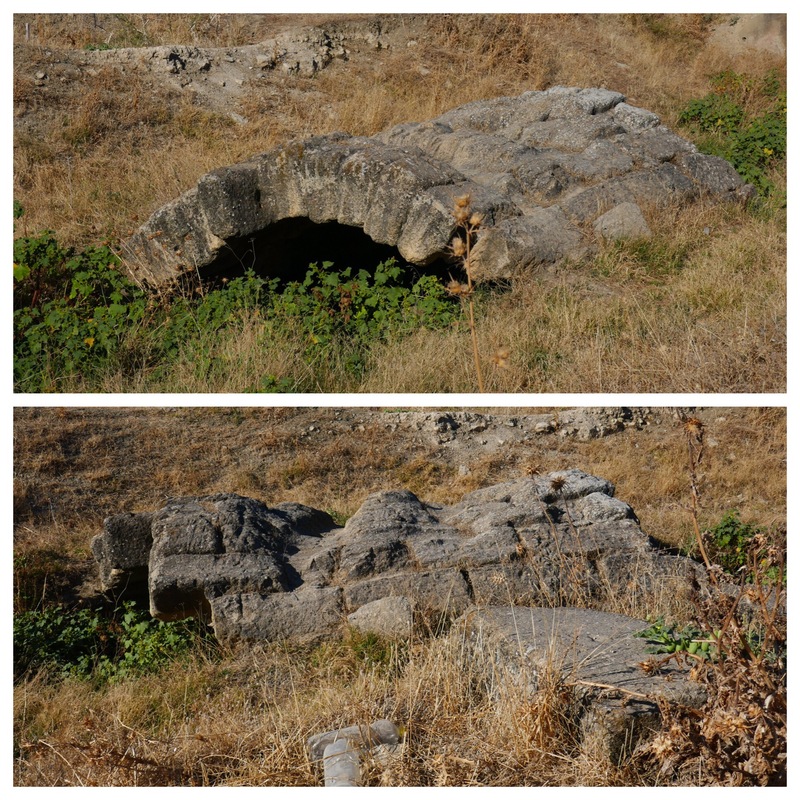 And then, after Espejó, an old Roman bridge. Not just any bridge as the ruts on top are very deep. Whether they were added to stop falls to the side or developed with considerable use over time, who knows. 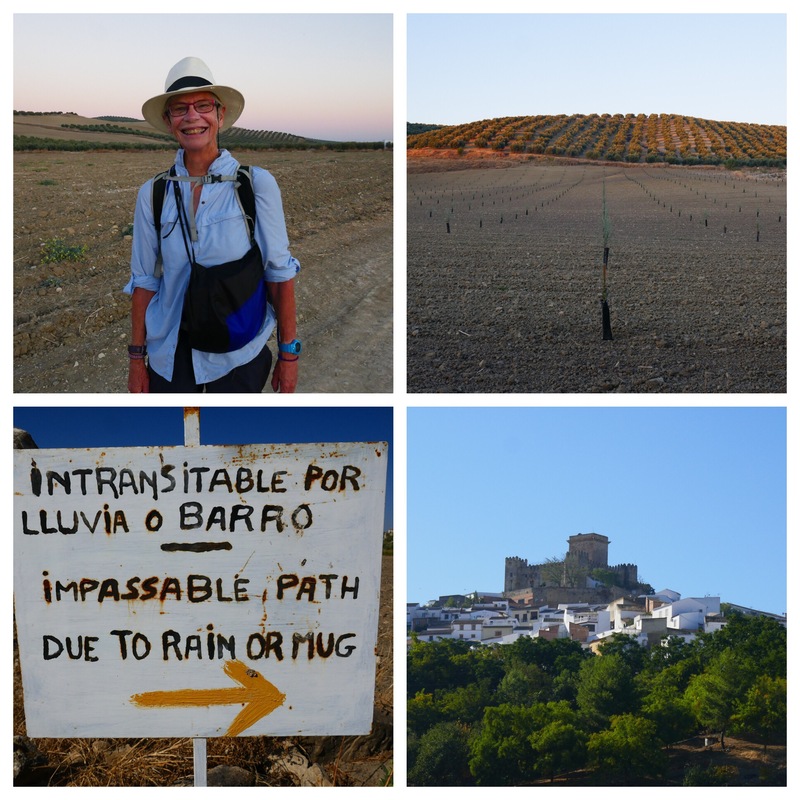 Nothing I’ve seen her so far suggests you should visit unless you are also walking to Córdoba. Our pension, Casa de Pepe, is unlikely to become famous. And the food likewise, even with half a bottle of vinegar dressing the scrappy bit of salad (ugh). 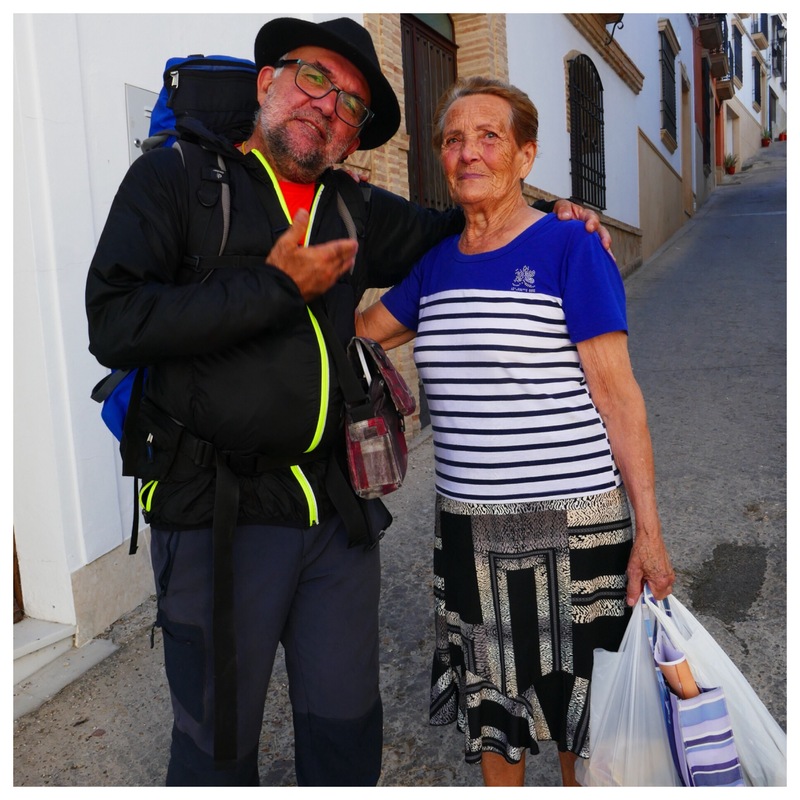 We could have walked 37km directly to Córdoba or, in 2 stages, via Espejó and Santa Cruz (?23km) and 25km for the remainder there. You know which option we chose. Yup. Better option. My new American friends (who owe me coffee for the bill they left me to pay in Moclin), left Córdoba today. After overdoing it early they’ve seen bus interiors since, I’m sorry to say. They are walking some more, towards Merida. Given the distances on some stages I guess that like me they’ll learn more yet about the buses.